A podcast for curious introverts! I am a newly married 24 year old man, I am not a pastor, but I love pastors and am very interested in preaching and pastoral ministry. This is one of the best podcasts I have listened to and I listen to a bunch of great ones. I like how short it is, thereâs a sense in which Iâm in the room with them, just silent. Most of the time, it feels like they donât know itâs recording and theyâre just having a conversation. Mark and Jonathan have a really nice chemistry. Either Iâm lame or theyâre really funny sometimes. One of my favorites! Thankful for all the wisdom shared between these faithful Pastors! Much to learn from these pastor/elders talk about the church. I love nine marks ministries. But the podcast is a little much. Thereâs not a lot of hard and fast teaching, but rather a lot of unnecessary banter. Also Mark doesnât seem to interview well. I would suggest read their books Or listen to their sermons instead of listening to the podcast. They will be much more helpful. As a man looking to go into full time ministry after seminary, this has been a great resource in helping think through shepherding the flock and all the challenges that come with it. If you're not a pastor, you'll still find Pastor Talk edifying. Few things are more soothing to me than listening to Mark Dever speak, and being a fly on the wall to hear him talk orthopraxy is wonderful. Do your pastor a favor and recommend it to him. My pastor found it very helpful and encouraging. Thankful for this wonderful supplement to my ministry weekâthis podcast gives a chance to think about ministry philophy and church life in a way that is engaging and thorough yet also casual enough to enjoy while you're cleaning or turning in reciepts at the church. Makes you look forward to some of the busy-work! I reiterate the other reviewersâthis is an excellent resource that is immensely helpful. It is a brief, practical, informal conversation about biblical pastoring. This podcast is excellent! Content and format are just what I enjoy to learn and grow as I maintain a pretty full schedule. I'm subscribed and I won't miss and episode! Thank you for investing your time and energy to help other pastors like me! This new podcast has been very helpful to me! I find it very edifying. Please keep them coming! This podcast has been a great addition to my weekly list of podcast. I always seem to learn so much about ministry. For any pastor desiring to grow in their ministry this is the perfect help. 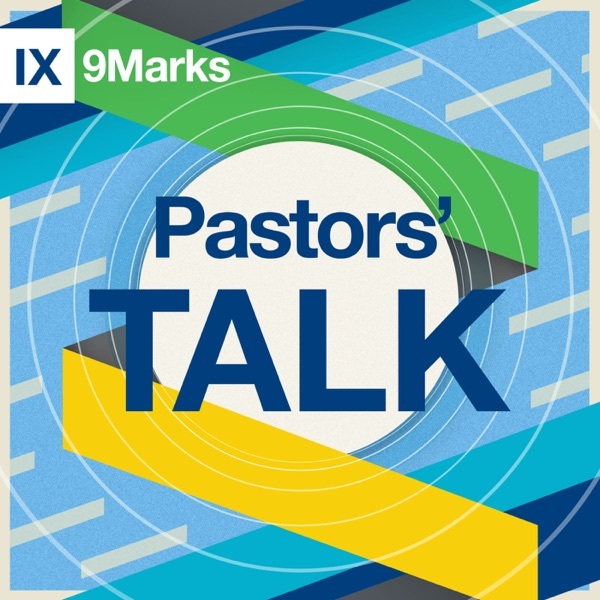 Mark and Jonathan do a great job in addressing issues particular to the pastorate. I highly recommend it for those who are serious about doing ministry well! Pastor's talk is an excellent resource. Mark exudes pastoral wisdom and is able to address timely questions posed by Jonathan; such as addressing social media usage in the church. The podcast provides a helpful medium for hearing how Mark, Leeman, and CHBC practically apply what we have been reading for many years. Thankful for this resources. I've been a fan on the 9Marks books and article for a long time. Including a podcast in the mix is a great way to bring others into the conversation. I highly recommend you subscribe and make this part of your routine.